The Narrative Lectionary is a four-year cycle of readings. On the Sundays from September through May each year the texts follow the sweep of the biblical story, from Creation through the early Christian church. The texts show the breadth and variety of voices within Scripture. They invite people to hear the stories of Abraham and Sarah, Moses and the prophets, Jesus, and Paul. Listening to the many different voices within Scripture enriches preaching and the life of faith. Consult Readings for 2018-19 (Matthew - Year 1) (rev. 4/30/18). Visit narrativelectionary.org for text commentaries on the coming week's texts. Bookmark it. Listen to "I Love to Tell the Story," the narrative lectionary podcast (or subscribe via iTunes). Connect with others on Facebook by joining the Narrative Lectionary group. Download prayers and music suggestions for Year 1: 2018-19 Worship Resources (rev. 5/30/18). That's it! And, of course, if you want more details about the how and why, read the FAQ below. From September to mid-December the preaching texts begin with the early chapters of Genesis, move through the stories of Israel’s early history, the exodus, the kings, prophets, exile and return. From Easter to Pentecost the texts are chosen from Acts and Paul’s letters. Access this week’s commentary and podcast at www.narrativelectionary.org. Texts were selected that lead well to the proclamation of what God is doing. The stories tell of hope and disappointment, suffering and redemption. In all these varied contexts, we find God dealing with the complexities of human life. Stories from the gospels differ each year, avoiding repetition and highlighting what is distinctive about each gospel’s telling of the story of Jesus. The Church Year helped to shape the flow of the Narrative Lectionary. Old Testament readings move through the story of God’s dealings with Israel and culminate in Advent with the prophets who speak of longing and hope. Readings from the gospels fit the movement from Christmas and Epiphany to the Transfiguration, Ash Wednesday, Holy Week and Easter. Selections from the book of Acts and Paul’s letters trace the outward movement of the resurrection message, culminating on Pentecost with readings focusing on the Spirit. What if we want to read a Gospel? When the primary text is not from a Gospel, there is an accompanying Gospel text suggested. So during the fall when the primary readings are taken from the Old Testament, and in the spring when primary readings come from the Epistles, a Gospel reading is provided in the schedule. When the primary reading is from the Gospel, the accompanying reading is taken from the Psalms. How does it work in worship? Many churches find it helpful to read only one lesson each Sunday — Old Testament texts in the fall and New Testament texts from Christmas through Pentecost. Others want a reading from the Gospels during the fall, even though the Old Testament is the main preaching text. 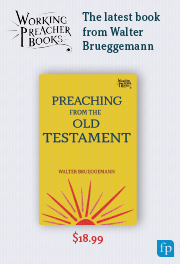 To make that possible, brief passages from the Gospels are chosen to accompany (but not to replace) the Old Testament readings in the fall for congregations that find that helpful. In the winter and spring, accompanying texts are taken from the Psalms. We encourage congregations to involve their worship planning team and musicians in the narrative lectionary; download and share the worship resources for 2018-19 (rev. 5/30/18), including prayers for the day, hymn suggestions and choral selections. What do we do in the summer? Summer is the perfect time to delve deeper into the Bible with a sermon series. For Summer 2017 (June 11 - Sept. 3, 2017), we designed four sermon series on Psalms (5 weeks); Ephesians (4 weeks); and your choice of either the Sacraments (4 weeks) or Revelation (4 weeks). Commentaries and podcasts will be posted at least a month in advance of the preaching dates. Or you can always switch back to the Revised Common Lectionary for the summer months. The Narrative Lectionary was initiated by Profs. Rolf Jacobson and Craig Koester of Luther Seminary, in partnership with congregations across North America. The experiment began in 2010 and continues to grow. Though the Revised Common Lectionary has united the church in its reading of scripture and has given much-needed structure, it doesn’t present scripture -- especially the Old Testament -- in a way that helps people to become fluent in the first language of faith. The Narrative Lectionary is an attempt to take nine months to do just that. How do we implement it in our congregation? The more you surround yourself with others using these readings over the next 9 months, the better. Have your church council approve it, so that it can become a congregational project, not just the pastor’s initiative. Get your text study group to decide to use it, so that the communal exploration of scripture can continue during the year. Do I have to register to use the narrative lectionary? No. But, we’d like to have a sense of how many people are involved, and also have a list of congregations using it so we can get feedback, collect resources and ideas, and connect congregations. If you have questions, insights or suggestions, please send them to nl@luthersem.edu. Also, please sign up to receive free Narrative Lectionary resources and updates from Luther Seminary. When you sign up, you'll receive a link to download the 2018-19 Narrative Lectionary brochure for free. You'll also be notified when events and resources related to the narrative lectionary are available. Where do I find additional resources? There is a Narrative Lectionary Facebook group available at https://www.facebook.com/groups/NarrativeLectionary/ where you can discuss with other Narrative Lectionary practitioners. Follow the link and click "Join group" in the upper right-hand corner to be added. If you're involving your worship planning team (and musicians) in the narrative lectionary, make sure you download and share the 2018-19 worship resources (rev. 5/30/18). Interest in the Narrative Lectionary continues to grow! As congregations and others develop additional worship resources and educational materials to fit the flow of readings, ideas can be shared, so that the biblical story becomes a more vital part of the life of faith for those we serve. If you have any questions about the narrative lectionary, contact us at nl@luthersem.edu. We’d love to hear from you! These Narrative Lectionary PDFs are provided for free, thanks to Luther Seminary. If you have difficulty accessing any file, contact nl@luthersem.edu. Sign up to receive free Narrative Lectionary resources and updates. When you sign up, you'll receive a link to download the Narrative Lectionary 2017-2018 readings.